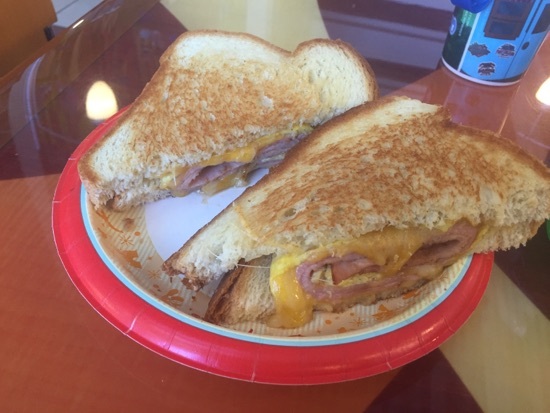 This morning I walked over to the contempo cafe to grab a breakfast sandwich, this was as good as usual and goes really well with the little pots of honey mustard they have. This was $8.19 and was more then enough for breakfast. I got some Minute Maid lemonade in my refillable mug to go with it and took DH a coffee back to the room in his. 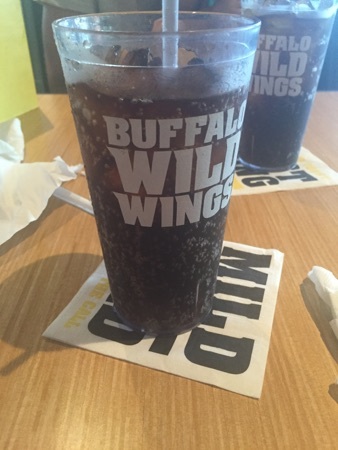 This afternoon we decided to do abit of shopping at Florida mall so we stopped off at Buffalo Wild Wings at crossroads for lunch. We all got Pepsi to drink. 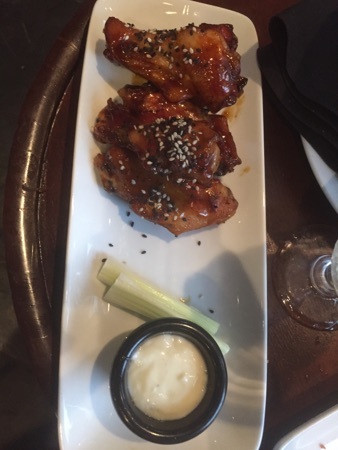 I ordered the wing combo with fries, carrots & celery sticks with blue cheese dip. This was a serving of 6 boneless wings and 6 traditional wings in mild sauce. 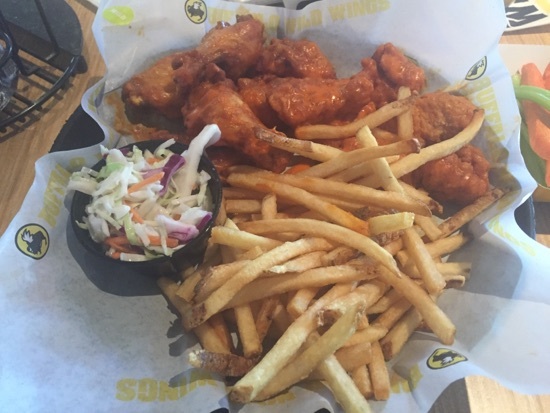 The boneless wings were for me and the traditional ones for DH and DD to share. This was so good, the mild sauce was spicier than I expected but just right. 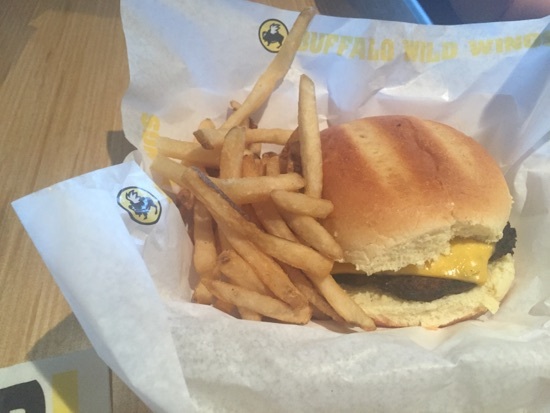 DD had the kids cheeseburger and fries. 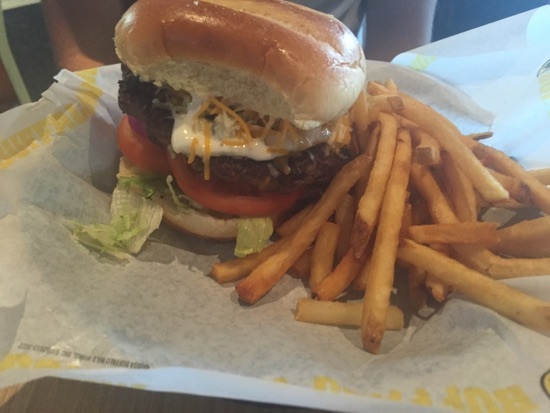 DH had the black and blue burger, this was a burger topped with blue cheese with lettuce, tomato and cheese. He said this was amazing and thoroughly enjoyed it. 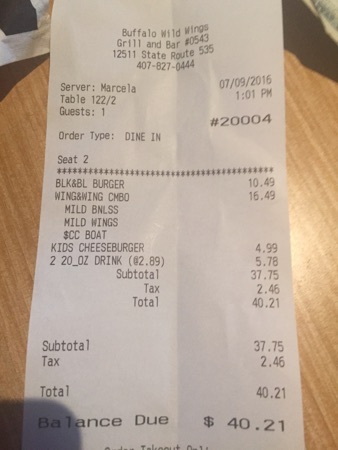 This came to $40.21 which we though was great value for the quality and quantity of the food. After a good shopping session we caught the monorail over to the Polynesian to have dinner in the tambu lounge. There was an almighty storm this evening with thunderstorm warnings issued and the resorts/monorails were heaving. 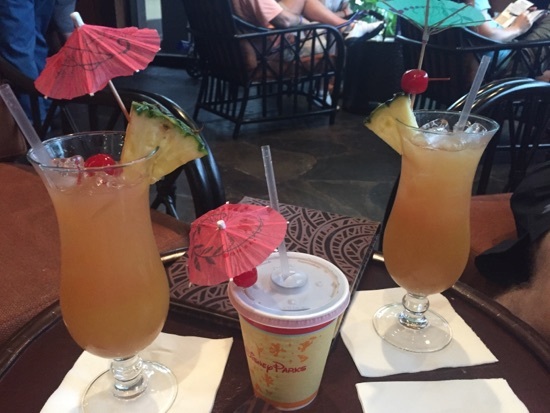 We arrived at the tambu lounge and managed to snag a table as a group were leaving. We orders a couple of drinks, DH and I had a tropical mccaw and DD had a Coke. These are delicious! 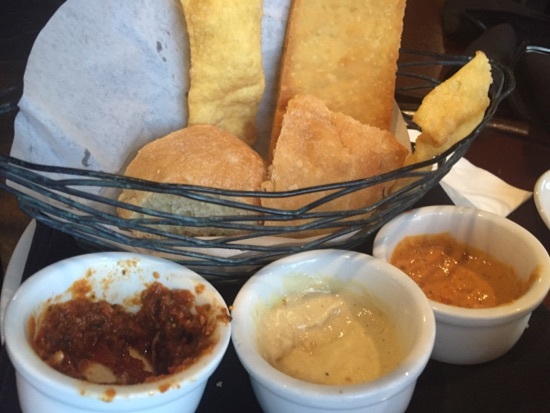 We ordered the bread and dips off the menu, we had already started when I remembered to take the picture, apologies! There was the ohana bread, a crisp bread and a puffed tortilla type. The 3 dips were really good, we had sundries tomato Pesto, Roasted Red Pepper Hummus, and Baba Ghanoush. This was $6 and there was lots of bread with it. 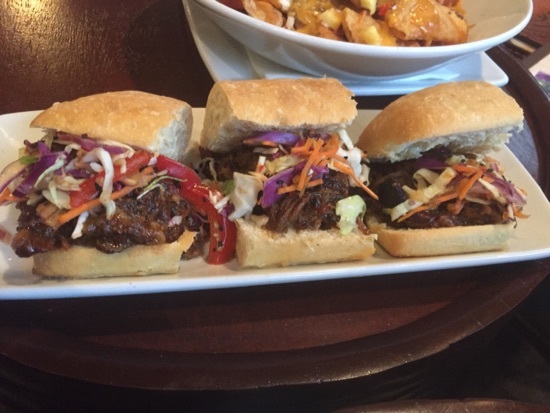 We also got the pulled pork sliders, these were $9 for the three. They were really good and there was loads of pulled pork in them. We also got the pulled pork nachos, these are the same ones available from captain cooks. 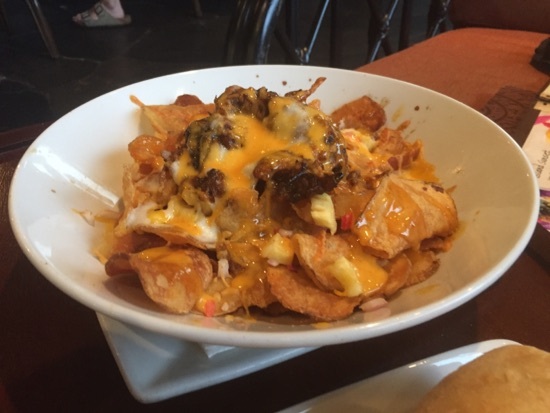 These are Polynesian chips topped with pork, cheese, pineapple salsa and spicy Mayonnaise and were $9.00. 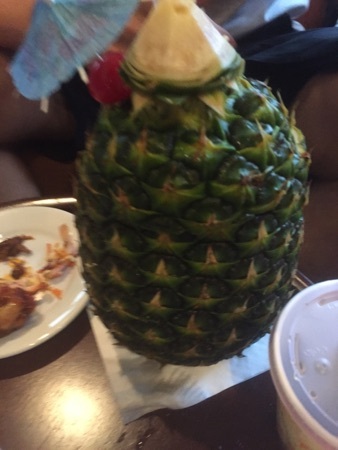 DH ordered a lapu lapu and i had a pina cola a. We were all absolutely stuffed by the time we finished and didn't have room for the ohana bread pudding dessert! This came to $85.19. Which we thought was pretty good with 4 cocktails for the amount of food we got! I highly recommend the tambu lounge for a fix of the ohana bread pudding without needing an ADR. 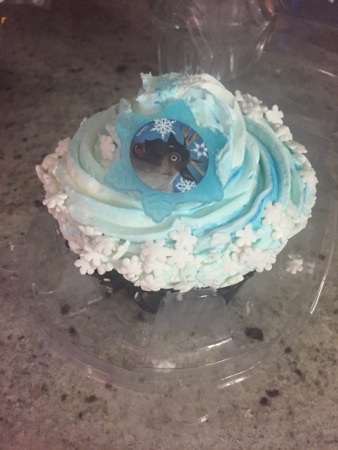 After we arrived back at bay lake tower DD decided she would like some of the frozen cupcake we picked up from contempo cafe earlier on in the week. This is a chocolate cake with caramel filling and a creamy topping. New Photo Added by missdopey - 10 Jul 16 2:30 AM. 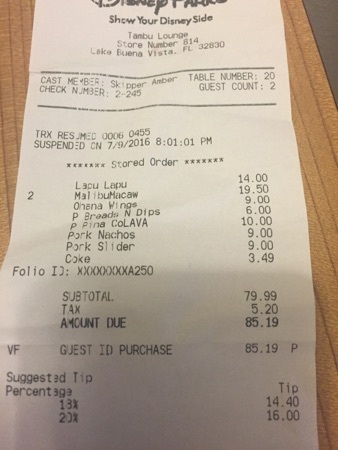 What a good price for food and 4 cocktails, definitely impressed by that, and the food looked delicious.